Over the years, many climbers have started weight training at my urging, but it doesn’t take long before the questions start rolling in. 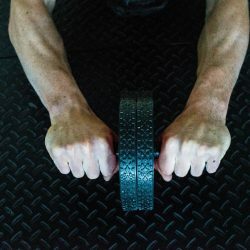 So you started lifting, now what? How much? How heavy? How many exercises? It always depends on the athlete, but we keep coming back to a few guidelines. The most important is this: training is not something you do instead of climbing, but rather something you do to support climbing. Our goal in performing any training is to create more high-level performances and to reduce injury. Weight training allows us the fastest path toward total-body strength. By building this strength, we can then develop all of the other qualities of fitness more quickly and safely. There is a limit to the efficacy of any training mode, though. We need to always try to figure out the just-right amount of volume and avoid letting our training get away from us. What we always look for is getting away with as little non-climbing as possible. 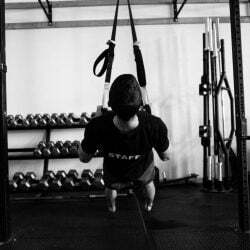 One of the big rules of training is specificity, but this is often over-simplified into simulation: trying to pattern climbing movements with a weight vest on, building a machine such as the Versa Climber, or doing climbing-like moves on a pull-up bar. Simulation is dangerous because it can compromise motor learning, teaching the athlete wrong movement patterns as he tries to develop specific strength. What we need is to build strength in full human ranges of motion and to build strength that is specific in duration and intensity to what we’d experience in climbing. 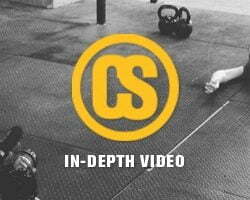 I am fully aware of the movements we use in climbing as well as the patterns you see in the weight room. Trying to mesh the two too closely results in insufficient overload to get strong as well as, as I said above, learning bad patterns in climbing. There are two goals we try to reach through supplemental resistance training. First, we want to get strong enough to perform the skills of our sport correctly. This is all the obvious stuff: being able to keep your hips in, being able to press your body upward with the legs, being able to hold lockoffs, etc. Once we attain this strength, we begin to focus more on our secondary goal: injury prevention. We want to maintain enough strength and mobility in our antagonists to help mitigate overuse injuries in our main climbing movement patterns. This is probably the most important question you can ask yourself in strength training for climbing. More important than actual numbers is to look at your ability to manage the skills of your sport with correct and efficient movement. Can you hold a lock-off position? Can you keep your hips in on steep rock? Can you use the strength in your legs for big high steps? Can you get your feet back up on the wall when they lose contact on steep terrain? Once you get strong enough for your current level of performance, you can back off significantly on the amount of work you’re doing. Strength can be maintained on a fraction the volume it took to gain it. If you spent the winter on a 3 day per week, 5 sets of 3 plan, you’ll start by dropping one day per week and one set of exercises. You’ll look to hold the load steady from your previous weeks’ training. 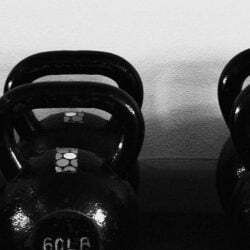 A final note: training never should replace practice of the sport. Of course you’ll still climb. As you might have guessed if you’ve read many of my programs, about 75% of your time needs to be spent climbing – and only 25% getting stronger.